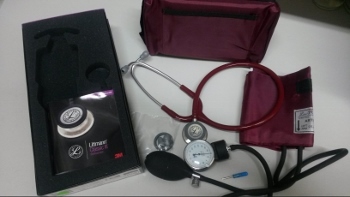 Brand new combo kit come with Adult Nylon blood pressure cuff, gauge, bulb, Light weight littman stethoscope & carry on nylon case. Brand New Deluxe combo kit comes with Nylon Blood pressure cuff (Adult)with gauge, bulb , Classic III S.E. Stethoscope & carry on nylon case. 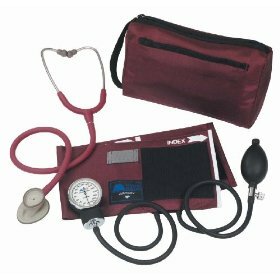 Aneroid Blood Pressure combo Kit w/ Nylon Case & Nurse Pocket Organizer filled. 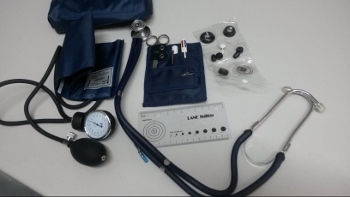 Aneroid Blood Pressure Kit with Sprague 22" stethoscope latex free, Pocket organizer filled, tape measure & carry on nylon case. SOLD IN BLISTER PACK ONLY. Aneroid Blood Pressure Cuff with manually adjusted gauge. Adult WITH 10 YEAR CALLIBRATION WARRANTY. Size. BLISTER PACKAGED. 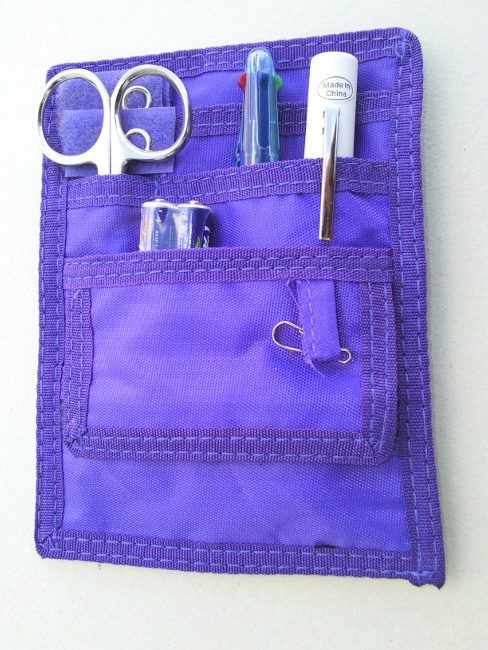 This deluxe nylon pocket organizer features five separate pockets and a belt loop with colored tabs. It includes a pair of lister bandage scissors (5.5"), a four-color chart pen, a reusable penlight, and a pair of AAA batteries. 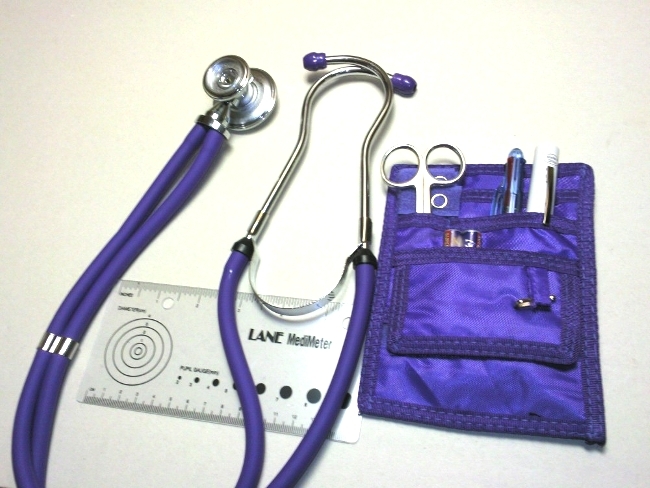 NURSE KIT WITH SINGLE TUBE STETHOSCOPE & MEDI METER. 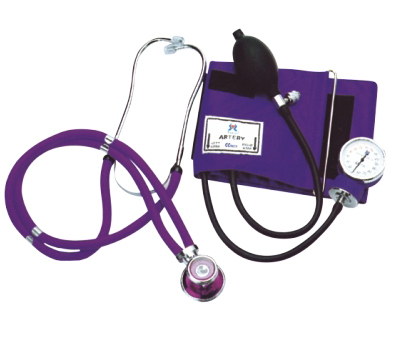 NEEDI standard dual head stethoscope with nurse kit and medimeter. The nurse kit includes a pair of lister bandage scissors (5.5"), a four-color chart pen, a reusable penlight, and a pair of AAA batteries. 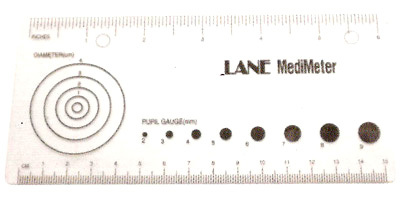 NEEDI Sprague Rappaport stethoscope with nurse kit and medimeter. 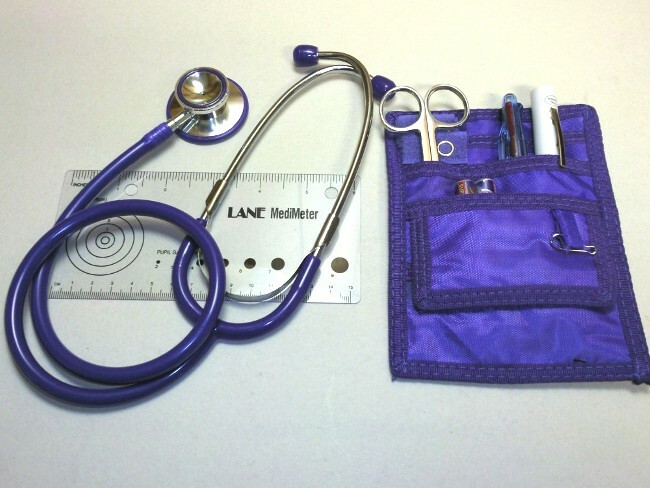 The nurse kit includes a pair of lister bandage scissors (5.5"), a four-NEEDI color chart pen, a reusable penlight, and a pair of AAA batteries. Think Pink Scoop Tote. Durable 300 denier poly/nylon. 16" x 4" x 14" size with large scoop front pocket and 12" drop straps. The ultimate must have for any traveling nurse. Pockets and compartments designed specifically for the tools of your profession. Water resistant fabric, heavy duty zippers. Large hinged mouth to main compartment. Bag measures 13" x 9" x 14". Patented. Scoop Tote - Pink Rocks. 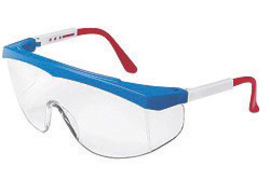 Durable 300 denier poly/nylon. 16" x 4" x 14" size with large scoop front pocket and 12" drop straps.